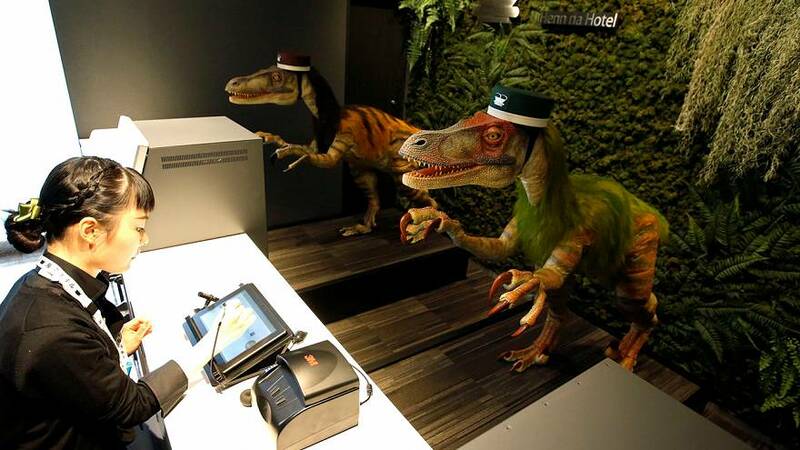 Dinosaur receptionists were on standby on Wednesday (March 15) as a second hotel staffed mostly by robots and automatons opened in Tokyo. Media were invited ahead of of customers to check out the nine types of robots that help check guests in, clean the lobby, and entertain guests. Humans staff are available and help maintain the 140 automatons on site. The first ‘Henn-na hotel’, which literally means “strange hotel”, opened in Nagasaki, southern Japan in 2015 and was recognized as “the first robot-staffed hotel” in the world by Guinness World Records.